We’ve talked about Ebola’s lethality and the government’s staggering ineptitude. Now it’s time to admit Ebola likely is here to stay. That’s not because it’s an efficient killer. It’s much more basic. Ebola will thrive because it is being enabled by America’s Big Three diseases which have been gnawing at our core for years: Arrogance, Incompetence, and Entitlement. Yet we won’t use the antidote – common sense and intestinal fortitude – because of our denial that we are the problem. 1. Nurse Kaci Hickox, upon returning from West Africa where she treated Ebola patients, registered a fever at Newark airport. New Jersey Gov. Chris Christie placed her under the state’s mandatory quarantine. But she threatened to sue, of course. Her confinement was inhumane, and her civil rights violated! Oh the horror of sleeping, eating, giving interviews and watching movies while keeping the public safe! But rather than standing his ground, Christie released her into America’s most densely populated region so she could go home to Maine. And what a shocker: she is defying her quarantine order there, choosing to ride a bike and frolic in public. “I will go to court to attain my freedom … I don’t plan on sticking to the guidelines,” Hickox says. Grow up, Kaci. First, you are free. If you don’t believe it, visit Cuba. Second, since we still don’t know what we’re dealing with, quarantine is part of the gig. If people don’t like that, they don’t have to go to Africa. But you did. Deal with it. The hard fact is that we have no idea whether Ebola is lurking in her system, since its incubation period is (usually) 21 days or less. If it slowly manifests itself while Hickox is out and about, she could infect others – thus the absolute need for quarantine. What part of this can’t they understand? 2. Christie should not have discharged her. While he claims he didn’t buckle under pressure from the White House and medical “experts,” that’s clearly what he did. Releasing her to a private transport company, especially given her flagrant disdain for the rules, was especially troubling. In his first true presidential-caliber test, Christie failed, and his capitulation should hurt him in the presidential primaries. 3. Dr. Bruce Beutler, an American immunologist and geneticist who won the Nobel Prize for Medicine and Physiology, doesn’t think Christie is being strict enough. “I favor (the quarantine) because it’s not entirely clear that they can’t transmit the disease,” Beutler said. “It may not be absolutely true that those without symptoms can’t transmit the disease … there’s a lot of variation with viruses.” And given a recent study (backed by the World Health Organization) showing that 13 percent of Ebola-infected people never exhibit a fever, that should be all the science we need for instituting quarantines. 4. Kaci’s attitude isn’t surprising. We Americans have come to believe we are entitled to everything, and cry that we’re “bullied” anytime someone advocates personal accountability. The “I-deserve-what-I-want, when-I-want-it” mentality has decimated common sense and respect for others. No society can prosper when basic actions for the greater good are flushed away. And let’s not forget Dr. Craig Spencer in New York, who, after working with Ebola patients in Africa, ignored self-quarantine and misled authorities about riding in subways and taxis, dining out, and bowling – then developed Ebola. And who picks up the tab for the decontamination costs in Dr. Spencer’s case? Bottom line: if “elite” medical professionals can’t be trusted to follow the rules and tell the truth, what makes us think that Ebola can be contained? 5. The Ebola Wars are not without comedy. Some in the medical community, the CDC in particular, have scolded leaders for establishing quarantines. Accusing them of making decisions based on politics, they argue that they, not politicians, should be calling the shots. Are they serious? The same people who have been monumentally screwing up from the beginning are now trying to act with moral authority? That’s like Lindsay Lohan preaching temperance. If laughter is indeed the best medicine, well CDC, mission accomplished. 6. Most Americans favor quarantines and travel restrictions, yet their concerns are being ignored by the White House, even as more countries adopt those strategies. (Australia just suspended entry visas for people from Ebola-affected countries). America’s answer? The State Department wants to bring foreign health care workers infected with Ebola to America for treatment. It’s hard to fathom the stupidity of that plan. 8. What if Ebola arrives at a nearby hospital? Do you send your kids to school if a classmate’s parent works in that hospital? What happens when 30 people become infected, and medical teams can no longer give their undivided attention to a single patient? Most chilling, what’s the plan for dealing with non-“model” Ebola patients, i.e., those who don’t seek treatment – the illegal alien scared to come forward; the person having an affair who won’t list his mistress as a close contact; “co-habitating” college students who think they’re invincible; the homeless; even the Average Joe. In other words, damn near everybody. This is exactly how Ebola can efficiently spread throughout the most mobile society on Earth. Not enough people are asking these questions. Instead, too many are dismissive of Ebola as a major threat, or focused on politically correct measures that make Ebola’s inroads that much easier. Hippocrates said,” Extreme remedies are very appropriate for extreme diseases.” After 2,400 years, it’s pretty scary that many “experts” still haven’t learned from history. Author and Academy Award nominated screenwriter Roger Simon has a great column at PJmedia.com skewering the Obama administration’s handling of Ebola and other ongoing crises in way that makes you want to cry — or hide under the covers. He notes that after millions knew of the hatchet attack by a “quasi-Islamo-lunatic” on a New York City cop, yesterday, Oct. 23, an administration representative queried about it was unaware it happened. Spencer 33, returned to New York on Oct. 17 from the West African nation of Guinea where he had treated Ebola patients. He spent the next six days riding subways, bowling, using the Uber taxi service, and spending time with his girlfriend before reporting a fever on Oct. 23 and being admitted to Bellevue Hospital Center for diagnosis and treatment. So what did Obama do on Oct. 23? He hung out at Sen. Jay Rockefeller’s (D-W Va) mansion where he was the guest of honor at a $32,400 a plate fundraiser for the Democrat (Little Guy LOL) Party. The mansion, by the way, is an $18 million palace in Washington D.C., a long way from coal fields and mountain music of the people, Rockefeller — who is retiring this term — allegedly represents. When our little ride ends Obama supporters are going to look at their votes for the man about the same way the Germans who voted for Hitler did in June 1945. Anyway, kudos to Roger Simon. Tom Coniglia has submitted this fascinating link containing contemporary footage of the discovery of Ebola by Belgian microbiologist Peter Piot in 1976. This conversation is obviously a parody of the real call that took place between a nurse that had direct contact with Ebola patient Thomas Duncan, and the Centers For Disease Control and Prevention. Unfathomably, the CDC, did, in fact, give the thumbs up to Amber Vinson to fly commercially, despite having full knowledge that A.) she had been caring for an Ebola patient, B.) her colleague, nurse Nina Pham, had already contracted Ebola from Duncan, even though she had worn protective gear, and C.) Vinson had a fever — a symptom of the disease. How is that possible? It is so immensely stupefying that, for once, this writer is at a loss for words, except to say that the American government is, undeniably, broken. Its handling of the Ebola crisis — or, more accurately, the lack thereof — was, and remains, pathetic. Despite knowing that this Ebola outbreak, which began almost a year ago, was bound to come to America, the CDC made mistake after inexcusable mistake. One would think the “pregame” jitters would have subsided by now, and with it, the incompetence. In fact, the Dumb And Dumber show continues unabated. The problem isn’t just with the CDC. And it’s not just the Obama Administration and Congress. It’s the entire government, at all levels. Once upon a time, America solved its problems by rolling up its sleeves and getting the job done. From putting a man on the moon to foiling the Soviets during the Cold War, and from passing Civil Rights legislation to building a world-class transportation infrastructure, our leaders used common sense and an iron will to keep America moving forward. Which, as this writer has pointed out many times, is like being valedictorian of summer school. Nowhere is that more apparent than the government’s failures. And before the partisan barbs fly, let’s not forget that it isn’t Obama’s government, nor was it Bush’s. It’s ours. We alone are responsible for picking the captain of our ship, and have no one to blame but ourselves for the course we have taken. From the DMV to the White House, the failures of government have taken a serious toll on Americans’ optimism, the hallmark that, above all, has set us apart from every other nation. Common sense has gone out the window. It has been replaced by politicians jockeying for the 30-second sound bite to gain cheap points and throw red-meat to their bases, with zero regard for actually coming up with a real solution. The result is an America that either charges headlong into a situation before considering the ramifications, or, on the opposite end, sits idle and does nothing, paralyzed to act. When we do emerge from the fog, the crisis is already upon us, forcing us more often than not to make ill-fated decisions. –America ended its space shuttle program despite having no replacement; now, we must rely solely on the Russians to ferry us to our space station. –Educational achievement levels continue to decline, yet no innovative solutions are offered; instead, we throw more money at the problem, despite knowing it won’t fix anything. –We invade country after country with absolutely no clue about how to proceed once regime change is achieved; the results speak for themselves. — Both Parties talk incessantly about reforming immigration, yet neither has any interest in doing so, creating a huge crisis on the southern border. –Our onerous tax structure and unfavorable trade policies harm America’s companies, while foreign competitors continue to woo American jobs overseas. — Despite full knowledge that America’s health care system was not equipped, let alone trained, to deal with the Ebola crisis, the government continues to drop the ball. Now, Americans routinely reject government reassurances that all will be okay. Instead, panic has set in, causing major volatility in the markets. Whether it’s the miles of red tape, unaccountable bureaucrats, the bowing to political correctness, an overall aloofness to the concerns of Main Street USA — or all of the above — the causes for Americans’ growing pessimism must be addressed. Quickly. The alternative is ever so bleak. Congratulations to James Merkins who has been picked to fill the remaining time on the Magisterial District Court Seat that was vacated by Anthony Scanlon when he was appointed to Delaware County (Pa) Common Pleas Court in June. 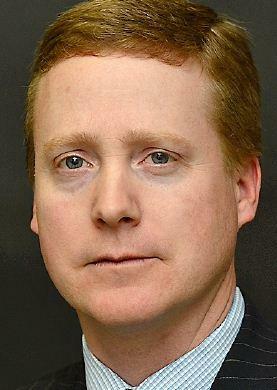 Merkins will run for a full-term for District Court 32-2-54 in 2015. The court serves the 1st, 5th and 6th wards of Springfield along with the 1st and 3rd precincts of the 2nd Ward. In other matters, the initial forecast is that Springfield is not getting a municipal tax hike this year, and County Council Chairman Tom McGarrigle is developing an Ebola response policy for the county, which after all is home to one of the world’s major international airports. Ebola fear is spreading, a contingency the Obama administration should have been preparing for in August if not earlier. The big reason for the unease is leadership. Obama said it was unlikely to get here and, well, here it is. He apparently thought he was dealing with the j.v. team of contagious disease. Thomas Frieden, who directs our Centers for Disease Control and Prevention, is the man who Obama tapped to deal with matters like this. As we should have expected, Frieden was not picked for his skill in dealing with a crisis but for his fidelity to the poison of political correctness. He was Commissioner of the New York City Department of Health and Mental Hygiene when called to federal service and was best known for distributing condoms to gays and banning trans-fat from New York restaurants. His brother Jeffrey is the Stanfield Professor of International Peace at Harvard and critic of free markets. It’s no wonder why Frieden is fighting quarantines for travelers from West Africa. Equality means Ebola equality as well, after all. And it’s no wonder that now Frieden has been compelled to act he is proposing plans that are scaring the pants off of rubber-meets-the-road health workers. And it’s no wonder that he is giving blame-ridden explanations without checking the facts i.e. there was no protocol to breach concerning the contagions of those who treated the late Liberian visitor Thomas Duncan. When your skill set is political pandering that is the thing you do. The tragedy is that Ebola doesn’t have to be scary, or anywhere near as scary anyway. The evil, greedy Firestone Tire and Rubber Co. stopped Ebola cold at its 80,000 person rubber plantation in the middle of the Liberian hot zone, it seems and just using common sense and materials at hand. But then those evil greedy corporate types appear to have treated the issue as crisis and not as an excuse for political posturing and laughable orchestrated photo ops. All perfectly describe the string of mistakes and idiotic actions of government officials and health care professionals dealing with the Ebola virus on American soil. But the most important descriptor cannot be omitted. Since we are willfully letting Ebola in, how could we not expect unintended consequences and detrimental results? History teaches us it’s inevitable. It’s bad enough that we allowed Ebola-stricken Americans to enter the U.S., but by granting unrestricted access to anyone who has traveled to West Africa within a 21-day time frame (Ebola’s incubation period), we asked for big trouble. And now that Thomas Duncan, a Liberian national who flew to America and became the first person diagnosed with Ebola on U.S. soil, we got it. Lots of it. But don’t worry, we’re told. The “experts” have everything under control. America is more-than-prepared to contain Ebola and wipe it out. So nothing to fear, right? Wrong. Dead wrong. Given that Ebola happens to be one of the deadliest viruses in human history, and knowing this year-long outbreak in Africa was unprecedented, we should have been prepared. But in modern America, being proactive is treated with contempt, and as a result, Ebola was given a free ride. HIV/AIDS is the world’s most infectious killer, but contracting it is quite difficult, making the average person’s risk factor virtually nonexistent. 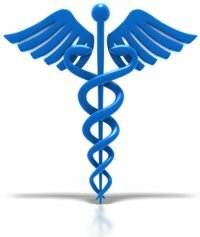 The risk to those engaged in certain sexual practices (where intimate physical contact is required for transmission) can be substantially mitigated if simple, medically advised precautions are taken. Yet despite that, a staggering 36 million people worldwide have died since 1981. Thirty-six million! Contrast that to Ebola, which has a mortality rate of up to 90 percent and where person-to-person contact is not necessary to contract the virus, and it should be immediately obvious what we are facing. Yet officials continue living in la-la land, not seeing, or at least not admitting, that Ebola presents a potentially unstoppable pandemic, especially if it mutates. 1. Continuously admitting Americans infected with Ebola into the U.S. is playing Russian Roulette with five bullets in a six-round gun. We should spare no expense in setting up a Level-4 bio-hazard lab on a remote island to treat all Americans. No exceptions. But instead, the borders, especially at airports, remain wide open, warmly welcoming Mr. Ebola. That’s not compassionate. That’s suicide. 2. After exhibiting symptoms of Ebola at a Dallas hospital, Thomas Duncan was sent home, even after telling health care workers he had just been to Liberia, Ebola’s Ground Zero. First, the hospital blamed a nurse for failing to pass along that hugely critical information, then claimed Duncan’s medical report wasn’t visible to doctors due to an electronic records glitch. Also false. Turns out everyone on the case had access to the information, but simply missed it. Incomprehensible, yes, but also expected. 3. It gets worse. The highly contagious Duncan was free to roam for days, possibly infecting God knows how many — and, truly, only God knows, because the “experts” have no idea. Their guess at Duncan’s “close contacts” keeps rising (it was eight, now it’s over 100). Even after Duncan was diagnosed with Ebola, his family and friends moved freely, including sending possibly exposed children to school. The family was eventually quarantined in Duncan’s apartment, but why there? Incredibly, no officials deemed it important to remove the family and immediately decontaminate the apartment. Instead, the family was forced to live in a petri dish alongside Duncan’s potentially virus-ridden sheets and clothes. The first cleanup crew, as well as police entering the apartment, had no virus protection. And topping it off, the emergency services’ reverse-911 call to warn residents failed in embarrassing fashion. The real culprit in all the snafus is Ebola’s biggest benefactor: Human error. And that is why, despite claims to the contrary, Ebola cannot be contained. We knew it was coming, yet inexcusably bad decisions were made, and things went horribly wrong. What happens when it appears in a different form on a mass scale? 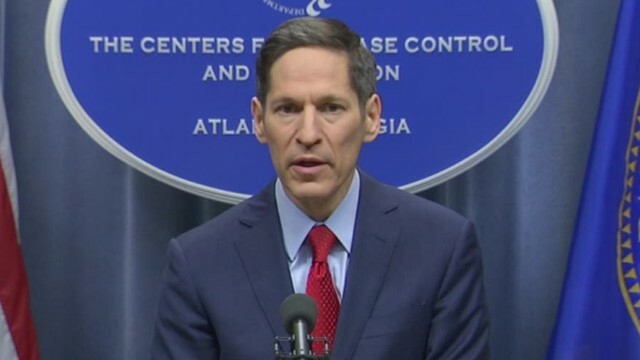 All of which makes the statements of Dr. Thomas Frieden, director of the Centers For Disease Control and Prevention — that “we are stopping it in its tracks in this country … There is no doubt in my mind we will stop it here” — ring hollow, huh? The CDC keeps changing its story, out of both ignorance and deceit. Its leaders believe that by downplaying the extreme seriousness of Ebola and reassuring Americans that all is under control, the problem will go away. They couldn’t be more wrong.